The Walking Dead Season 7 Episode 4 Spoilers, Air Date, Promo, TWD 7×4 Updates: The upcoming chapter of the seventh installment of the zombie show will be longer than usual. It will run for 85 minutes making it 25 minutes longer than the usual 60-minute episodes. The showrunners confirmed the news. The next week’s episode is titled ‘Service and will deal with the remaining people in Alexandria. 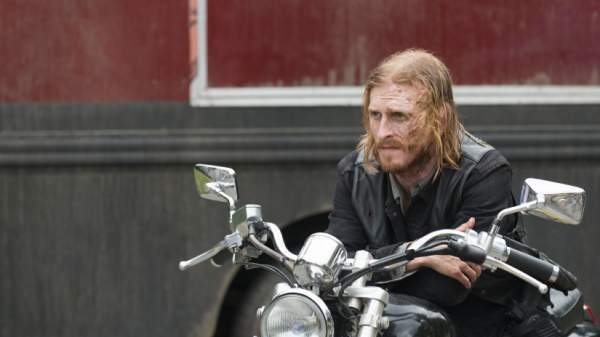 The people of that place witnessed a gruesome incident in the premiere of the seventh season and are expecting a ‘sobering visit.” Below are the preview and predictions for the same. Speculations are already in the market, and fans say that Negan is going to make a visit. However, there are many people who don’t want him to visit. We will see more dynamics in the mysterious place according to the storyline. Theories of some fans say that if Negan visits Alexandria, then Rick will provide him the powers to be the leader. Check: MTV EMA 2016 Winners List. Andrew Lincoln who plays Rick said in an interview that almost all the characters carry guilt with them. He also said that the weakness and strength of Mr. Grimes lie in his responsibility of the people. Check: Legends of Tomorrow S2E5. The ep 4 will focus more on Alexandria Safe Zone. The official synopsis reads the following. It appears as if Negan will attack Alexandria Safe Zone once again to prove that he is someone to be reckoned with. So, it is going to be a tough journey for Rick and gang. It has been a rocky beginning of this season. In the ep 3, we saw Daryl Dixon breaking down and blaming himself for the death of Glenn. Let’s how the deaths of Glenn and Abraham are going to affect others in Rick’s gang. The Walking Dead season 7 episode 4 will air on November 13 at 9 pm ET on AMC. Stay tuned to The Reporter Times for latest TWD news and other TV series updates across the globe. Have fun.